PMA releases 2014 PMA Entrance Exam (PMAEE) Results (list of passers, top 10) - Balita Boss! 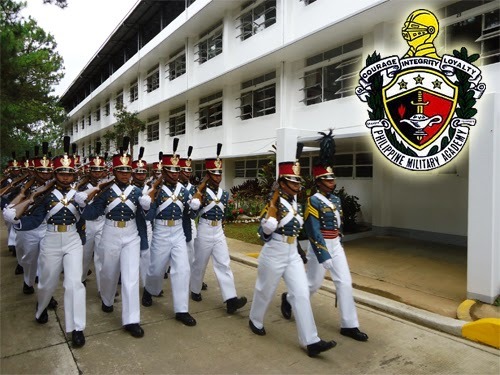 The Philippine Military Academy (PMA) released the results of the Entrance Examination for 2014. The official results were released on on Friday, September 5. The examination was conducted last August 3, 2014 in different examination centers nationwide. A total of 1,189 out of the 12,014 examinees passed the PMA Entrance Examination (PMAEE), according to PMA (via PMA Website). Kernell Ortega of Socorro, Oriental Mindoro. LEUS, VAL IAN CALEB AVENIDO VALENCIA ST. IDI SUBDIVISION SEVERINA , PARAÑAQUE CITY. SINDAC, GIAN CARLO FILIPINO -C TACLOBAN ST. PAEL ESTATE CULIAT, QUEZON CITY. SORIANO, GODFFREY TABAGO LIBIS BUKID MALINTA, VALENZUELA CITY. Composed of 827 males and 362 females, the cadet aspirants will continue to the next phase of the selection process, the Complete Physical Examination (CPE) which will be conducted at the AFP Medical Center in V. Luna, Quezon City. A series of physical and medical examinations will be conducted to test their strength, agility, endurance, and worthiness to belong to PMA Class 2019. The Office of the Cadet Admission will be informing the successful passers through email as to how to proceed with their Complete Physical Exam. Successful passers without email address or with invalid email address are advised to call the Office of the Cadet Admission to have their email addresses updated at the following phone numbers: 074-447-2632 or 074-447-2635 local 6751/6752. If your name is on the list, please click HERE for instructions. Thank you for reading. Follow Balita Boss? on Facebook, on Twitter or on Google+ to receive updated information about the Philippine Military Academy (PMA).